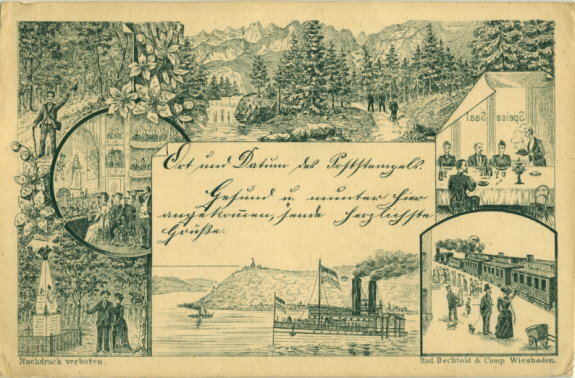 Unused German postcard with line drawing views. Marked: Nachdruck Verboten. (Reproduction Forbidden) Rud Bechtold & Comp. Wiesbaden.